We have a sliding scale of fees depending on the size of the venue and distance to travel. Please make contact to confirm cost. 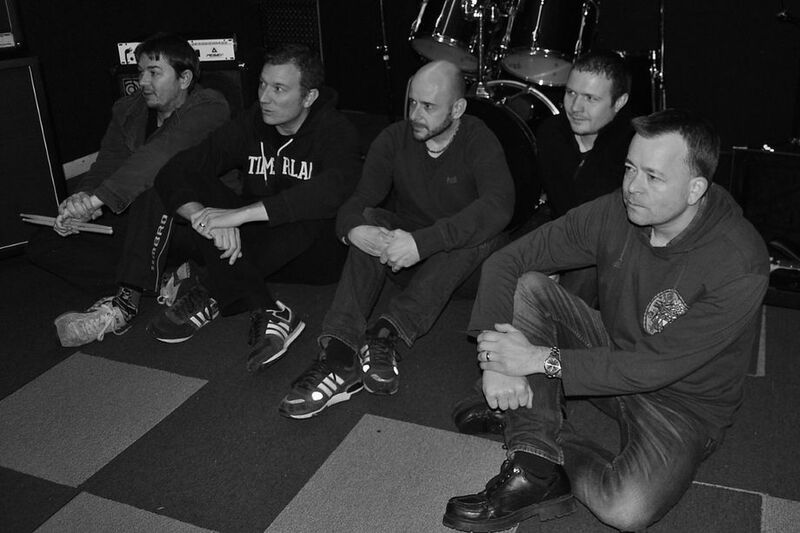 Sonic Boom mainly focus on indie/rock hits from the 90s and love giving an energetic, positive, fun and totally live performance. We can play a 2 hour set, usually with a break in the middle or we can select a shorter set to suit your event. Sonic Boom comes complete with PA and back line equipment. We perform at pubs/clubs, festivals and special events. We are based in Leicestershire/Warwickshire and play at venues across the wider Midlands region. Sonic Boom can play a two hour set. We can tailor a shorter show to suit your event or festival. Most venues ask us for 2 x 45 min sets with a 15 - 20 min break in the middle. So far we have been asked for encores at every gig! So we may play for longer... or we can select a shorter set to suit your event. In the past we have done special requests. Let us know in advance and depending on our gig commitments if we have rehearsal time we may be able to play a song that's special to you. It's a 5-piece group, but we can fit into a fairly small space. We need enough space for drum kit, 2 x guitarists, 1 x bass and lead and backing vocals. Payment can be made in person on the day of the gig or through bank transfer. Yes Sonic Boom comes complete with a PA system which is suitable for small and medium size venues. We also have back line amps and some lighting. We can also provide suitable background music through our PA before and after the show, if the booking is not for a dedicated music venue which has its own DJ or music. Sonic Boom has played at a wide range of venues, including the Bierkeller chain of clubs. We play at live music pubs and also book for parties, corporate events and weddings. 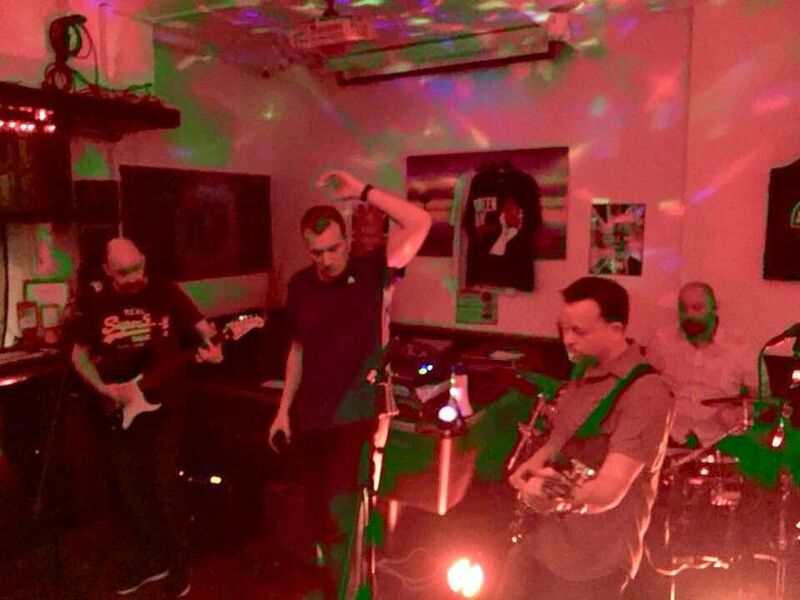 The group can play pubs/clubs, festivals and any kind of special events and parties where indie/rock is the genre that goes down well. While playing some of the greatest rock and indie hits from the 1990s, Sonic Boom also put on a proper live performance. There are no pre-recorded backing tracks - Sonic Boom keeps it live! The band plays gigs across the wider Midlands region. 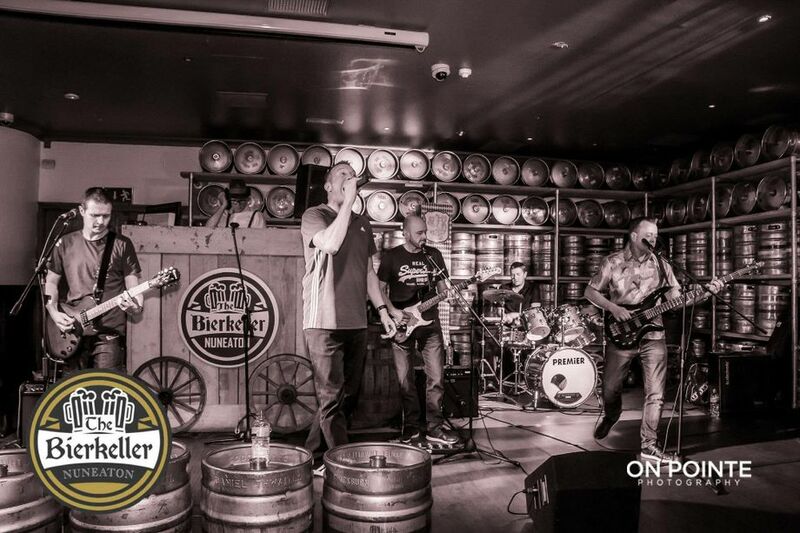 Sonic Boom is a five-piece band made up of experienced musicians and has always gets a great response from audiences and repeat bookings from promoters and venue owners. 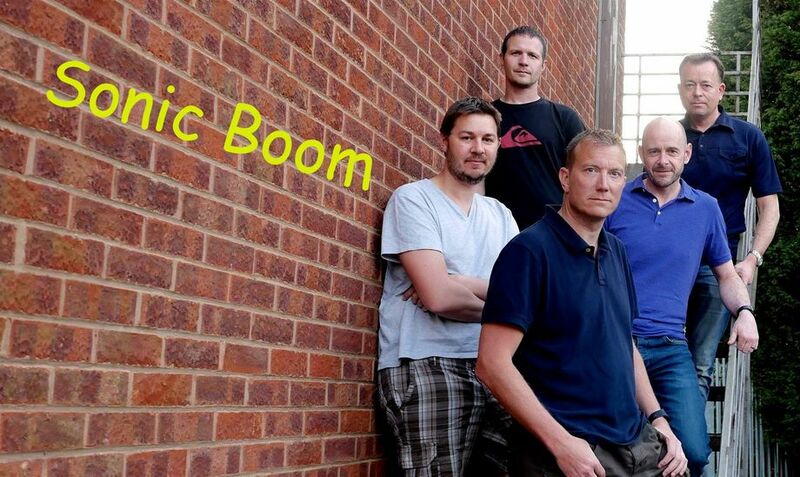 Sonic Boom is an indie/rock covers band with a fun and energetic set which has a main focus on big hit songs from the 90s.